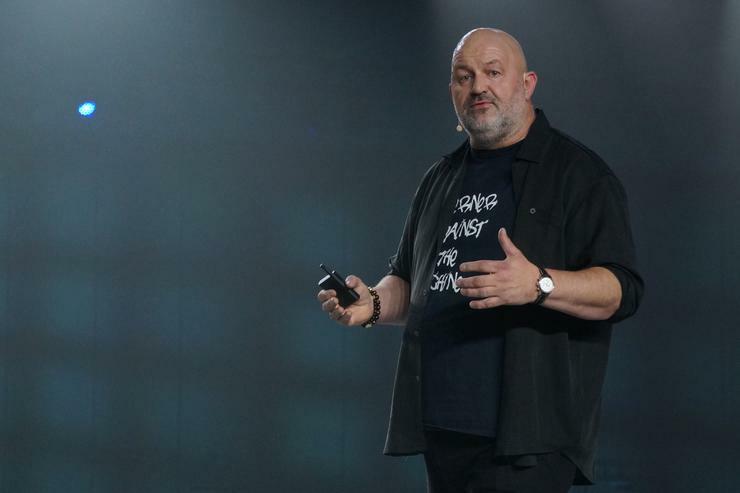 Amazon CTO Werner Vogels took the stage at the company’s AWS Summit Wednesday to announce a smorgasbord of new features for Amazon Web Services. SaaS Contracts give companies the ability to pay for subscription software through the AWS Marketplace on a one-, two- or three-year basis. Customers are billed for the subscriptions through their monthly AWS bill, rather than on a separate invoice. "SaaS has become a critical approach for customers consuming new software because it's native to cloud," Vogels said. One of the advantages with SaaS Contracts is that it uses the same payment and procurement settings that customers already have in place for Amazon’s cloud platform. That was a key part of why Splunk decided to engage with the program, company CEO Doug Merritt said on stage Wednesday. Bringing applications into the AWS Marketplace also improves their visibility to the cloud platform's users, which can help software vendors stand out from the crowd. One of the problems with continuous integration and development is that users have to jump back and forth between tools. That's why Amazon is launching AWS CodeStar, a tool that’s supposed to provide an integrated environment for collaboratively developing software and managing delivery inside AWS. Users start by picking out project templates using a variety of languages like Ruby on Rails, Node.js, and Java. After that, users set up a continuous integration flow, connect their integrated development environment, and add members of a project team. The system includes a team wiki and can also connect to Atlassian Jira for issue tracking. Amazon is enhancing its Redshift database service with a new feature that lets users query data that's stored in the company's Simple Storage Service (S3). Redshift Spectrum allows developers to query tables stored in S3 alongside those stored with Redshift, for those companies that want to use Amazon’s storage service as a data lake. It's built for companies wanting to run queries across petabytes or exabytes of data that would otherwise require massive amounts of power and tons of time. Companies needing response times measured in microseconds from Amazon's DynamoDB managed database service have a new caching tool. The DynamoDB Accelerator (DAX), introduced Wednesday, is a fully managed in-memory cache that customers can set up from the AWS Console. DAX provides customers with the same interface they would get from DynamoDB itself. In addition, customers relying on Amazon's virtual private cloud feature to provide an isolated environment for their applications have a new feature they can use. They can now use a new VPC Endpoints feature with the company's DynamoDB database service to keep traffic between different database instances within their VPC instance. Speaking of databases, the PostgreSQL-compatible version of Amazon's Aurora database service entered open beta on Wednesday. It was first announced at the company's Re:Invent conference last year and is now available for anyone to try, alongside AWS's existing MySQL-compatible version of Aurora. Amazon Rekognition, the company’s machine learning-based image detection service, has been upgraded to include support for automatically moderating content. The service will take in an image and provide a score back showing if it thinks the image could be objectionable. During his presentation demonstrating the feature, Vogels showed a photo of a male swimwear model. Rekognition returned a score saying it thought the image featured someone in swimwear or underwear. "There are eight or nine different categories; let's say the others are more severe than underwear," Vogels said. Polly, Amazon’s service for generating computer voices, gained support for playing back a whispering voice. In addition, it can provide a set of speech marks for syncing the speech movements of a digital avatar up with the audio generated. On top of all that, Amazon Lex, the company's natural-language understanding service, entered general availability Wednesday. Amazon also made its F1 instances, which include user-accessible field-programmable gate arrays, generally available Wednesday. Those instances, which were introduced late last year, are built for companies that need to accelerate high-performance applications like big data analytics, genomics research, and real-time video processing. AWS X-Ray, the company’s tool for analyzing distributed application performance, was made generally available Wednesday as well.